Tactile sensory play is an important part of a preschooler's development. 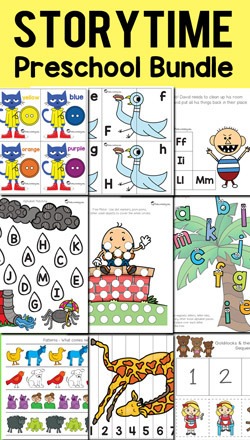 Not only does it help develop fine motor skills, but it has many other benefits such as helping the brain make connections, problem solving, language development, memory, logic and creativity. 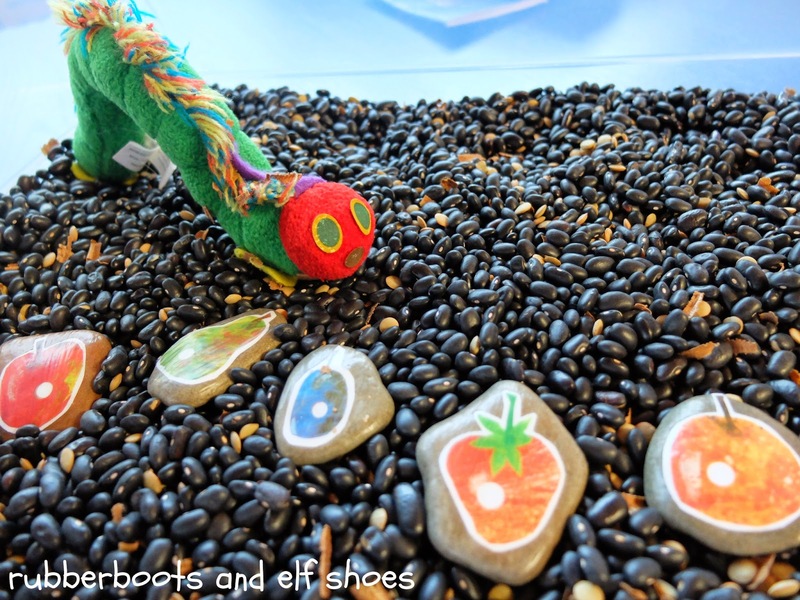 Making a sensory bin or activity doesn't have to be complicated. You can use simple objects and ingredients, literally anything you have on hand and just mix it up in a container and let your child explore. Trust me, your child will love it! 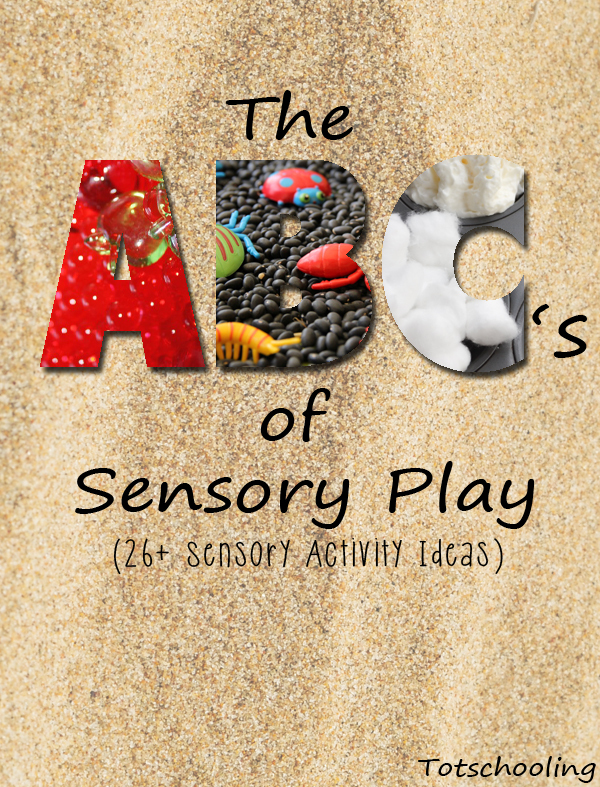 For those of you doing tot school or letter-of-the-week curriculum, or those looking for creative ideas, I have compiled a list of my favorite sensory activities for each letter of the alphabet. I hope they inspire you! 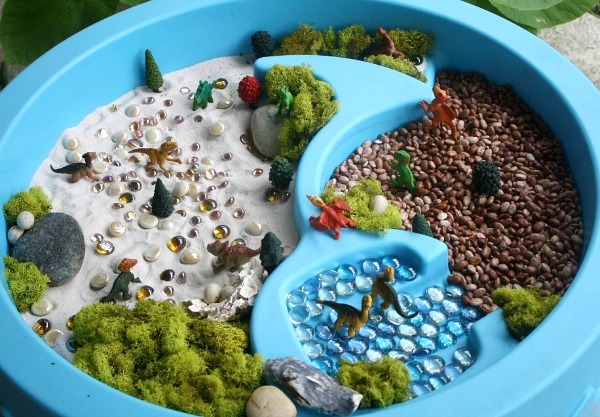 O is for Ocean: Super Simple Ocean Sensory Bin by Fun-a-Day! Love this! 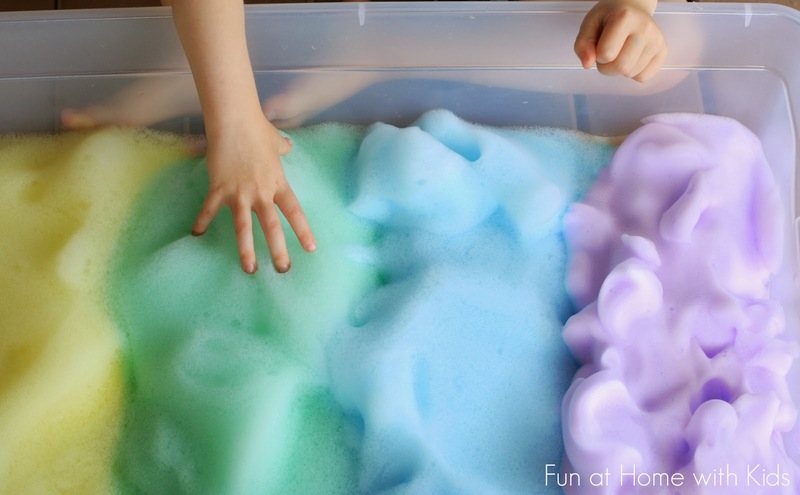 SO many great ideas for sensory play (my daughter can never get enough!). Thanks for including our Kinetic Sand Math and Donut Shop Sensory Play. So many fabulous sensory activities! Thanks so much for including some of our activities. I LOVE this post, it turned out great! I will be using this list as a resource for sure!